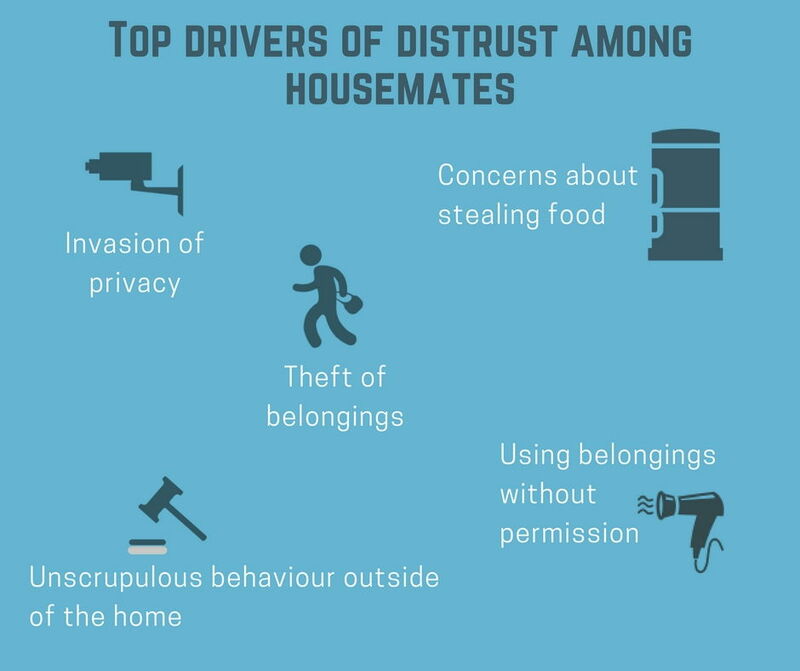 19% of renters don’t trust their housemates, according to a national poll conducted on behalf of surveillance specialists Online Spy Shop. 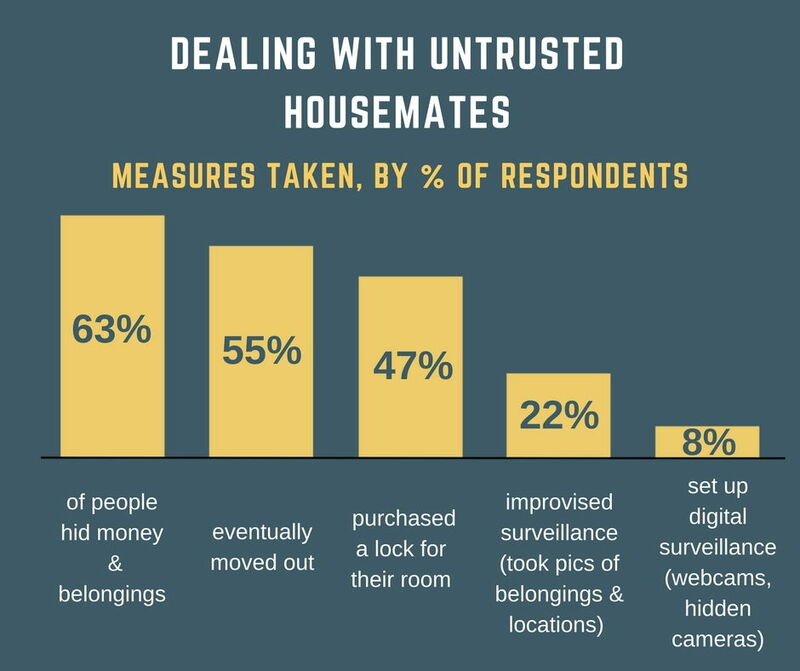 Further more, 42% of renters have lived with at least one person they didn't trust and 13% (126 out of 1,000) have conducted surveillance on their housemates. 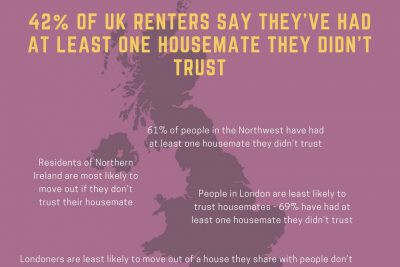 The study revealed alarmingly low levels of trust among housemates across the UK. Large cities with competitive rental markets fared the worst for distrust among housemates, suggesting those who have less choice about who they share a home with are more likely to end up living with people they don’t trust. Why don't we trust our housemates?